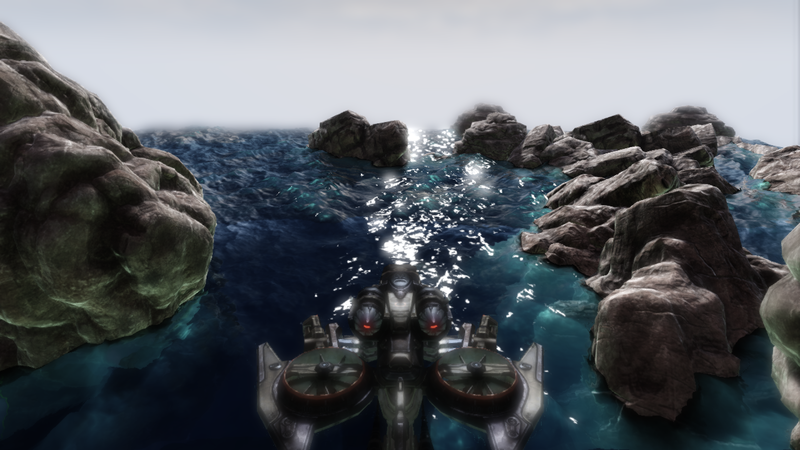 Download UDK Ocean shader (packages saved with February 2013 UDK). 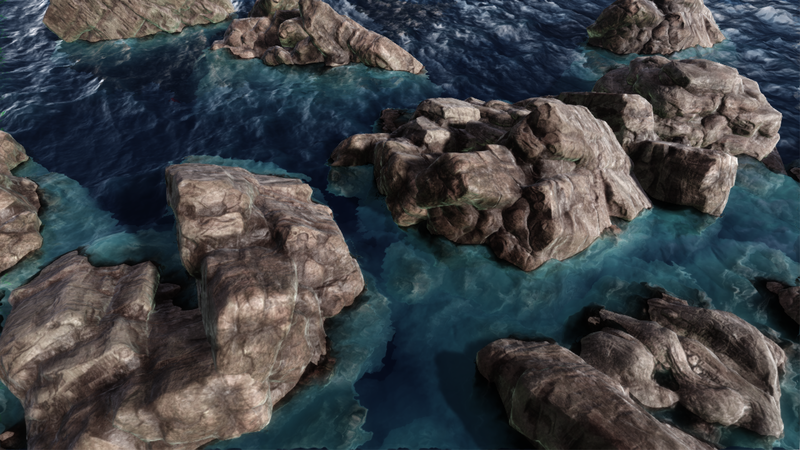 All the data is generated from one 256x256x32b normal map. Performance optimization, quality switches, etc. It's just a common directions of development, there are a lot ot them more. First of all you should understand what you want to get from ocean. F.e. 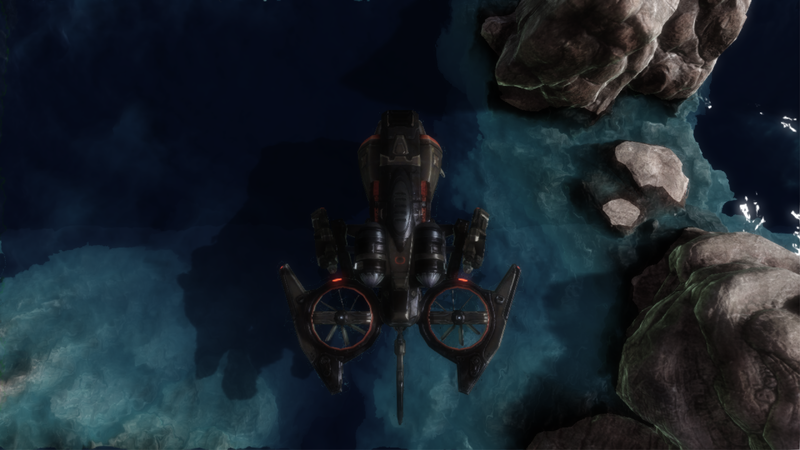 today I'm using simplified shader to get optimal performance and organic view exactly for my game. 2-3. Render targets for scene depth ("DepthTrickster" tag) and scene color ("ColorTrickster" tag) capturing. FOV must be the same as used for player. 4. Reflection capture actor. Simple one, but important. No special tags required. 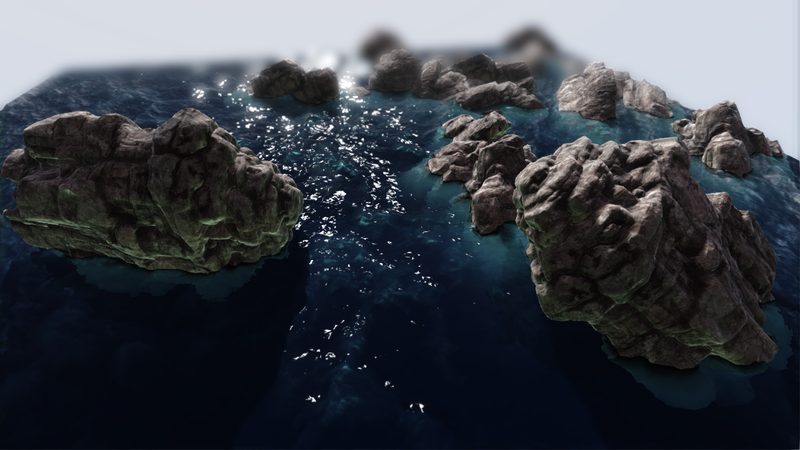 Main idea of "opaque material with opacity" is to use scene capture actors to get scene depth and color behind surface from scene "without ocean". Of course, this trick has its limitations and bottlenecks, but it's useful for my game, and I'm happy about it. 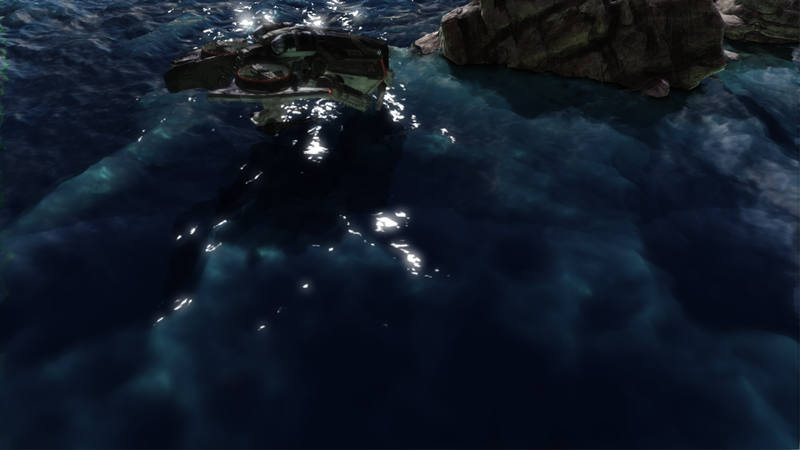 If you needn't dynamic lighting for your water surface you can always modify material to be truly traslucent. to FFT or not to FFT? You can try to make it faster using sets of pre-calculated FFT data (like in Assasin Creed 3), but you have to use float textures. 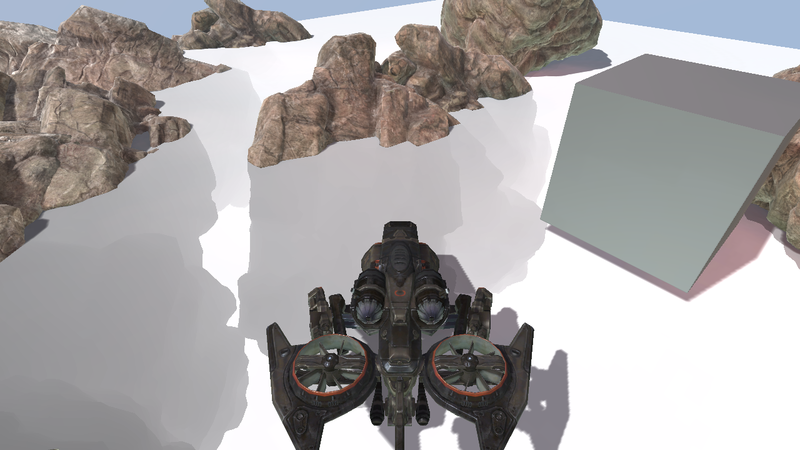 Their support (.float) in UDK is something from Hell. 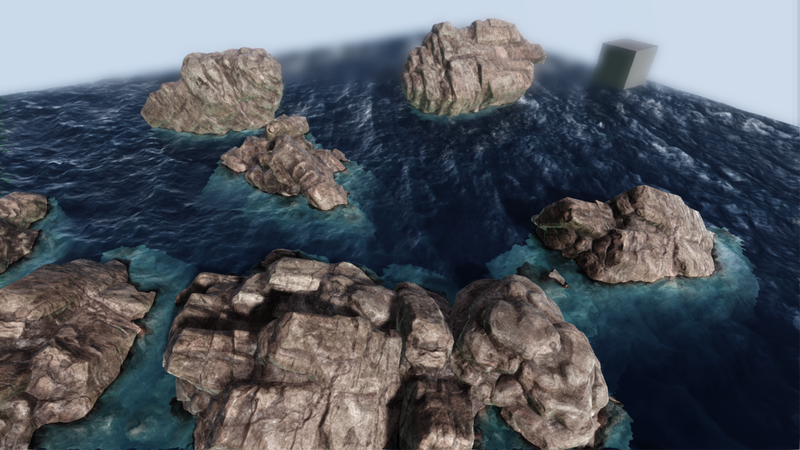 I want to say that FFT algorythm is not useful for in-game ocean with UDK. It's better to use Gerstner-based solutions. But for portfolio demos it would be a great thing. It looks pretty cool. 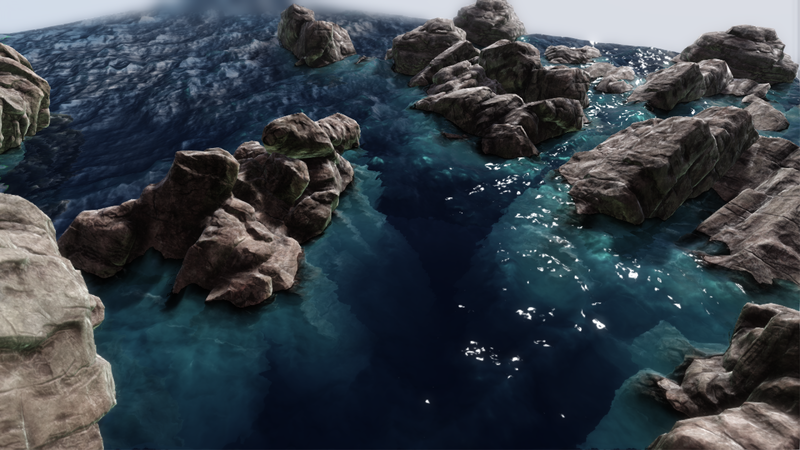 There are a lot of different approaches for ocean simulation in games. This shader is just only one of them. Hope you'll find it useful, and you're free to use it as you want.